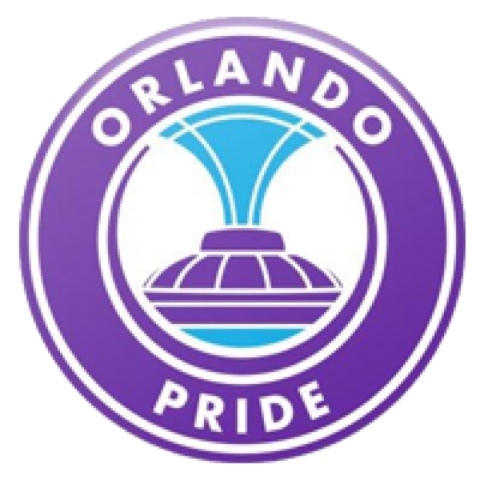 Orlando Pride is the name of Orlando, Florida's national professional women's soccer team, to first play in 2016. When the media proclaims and leads their stories with announcements that the 6.12.2016 Pulse shooting is "America's deadliest mass shooting," and variants like that, they are setting up the next act of violence. The psychological need to increase and compete in the body counts is a media-driven phenomenon. I discussed this in my book, and throughout my writings for a dozen years. 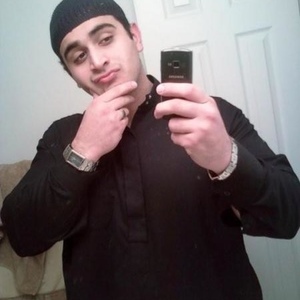 A selfie of the terrorist. Fifty-nine were killed, 53 have been hospitalized, and the shooter was killed. 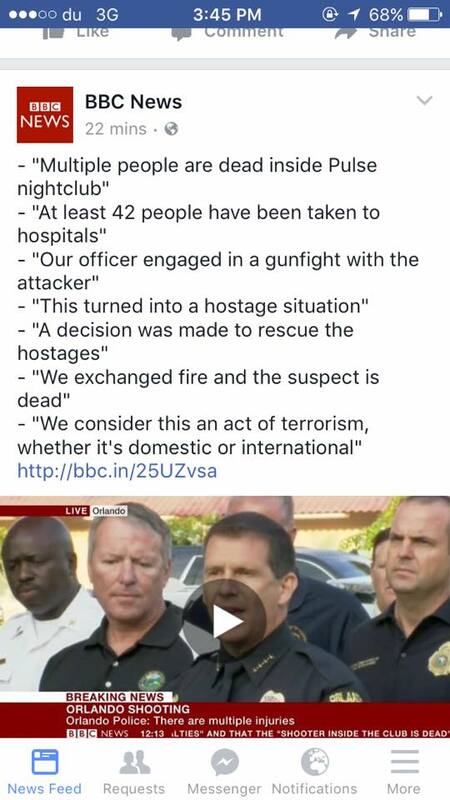 Breaking: Local and federal law enforcers noted at a 7:15 am Orlando news conference that there were "multiple fatalities," perhaps as many as 20 dead. Reportedly 42 injured were sent to the local hospitals. 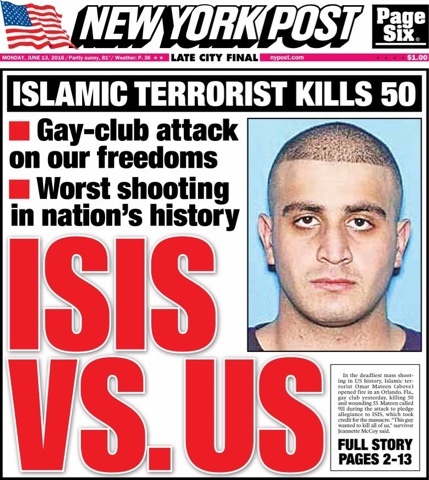 The gunman may have had Islamic terrorist "leanings," according to the FBI spokesperson. Omar Mir Seddique (or Saddiqui) Mateen has been named as the gunman who killed as many as 20 people and wounded 40 others at the Pulse nightclub in Orlando, Florida, CBS and NBC News reports. 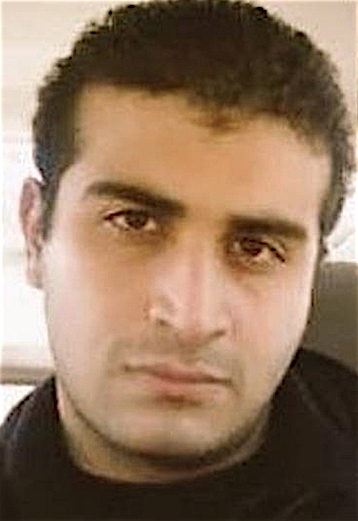 He was later killed by police after taking hostages at the LGBT club. Mateen, 29, is a U.S. citizen from Port St. Lucie, Florida, according to CBS News. He has ties to radical Islamic ideology, CBS reports. Both of Mateen’s parents are originally from Afghanistan, according to CBS News. Mateen was born in New York, NBC News reports. He was married in 2009, public records show. It is not clear if he was still married at the time of the attack. Mateen is a registered Democrat who has also lived in Fort Pierce, Florida, according to online records. Florida Senator Bill Nelson says, according to intelligence committee staff, Mateen has ties to ISIS. The name Omar is a Hebrew name meaning, "eloquent," "speaker." The grandson of Esau in the Old Testament. Famous Bearers: 12th century Persian poet and astronomer and mathematician Omar Khayyam; Caliph Omar II, who made Islam an imperial power; actor Omar Sharif. Mir is Muslim (common in Pakistan, Bangladesh, and India), from a title of Persian origin, a short form of Arabic Amir "prince," "commander." Siddiqui is a family name or surname meaning "The Truthful" in Arabic. Siddiquis are spread all over the world mainly Asia Pacific and Europe. Siddiquis are generally considered to be the descendants of the first Muslim Caliph Abu Bakr as-Siddiq of the Rashidun Caliphate (The four Rightly guided Calips). 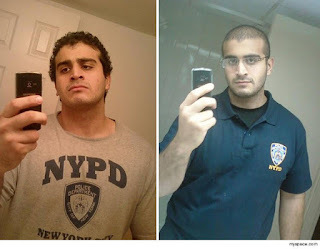 Mateen is a Muslim name meaning "powerful, and thus, for example, variants like the name Abdul Mateen is a Muslim name meaning, "servant of the firm," "strong." The day after singer Christina Grimmie died from an Orlando shooting, a Florida gay club in the same city has erupted in gunfire. The Orlando club named Pulse was the 2 a.m. target of a long-gun attack and possible hostage situation early Sunday, June 12, 2016. Multiple injuries are reported. "Mass casualty situation" is what it is being called. Some reports said 250 have being hit, with at least 42 have been sent to hospitals. 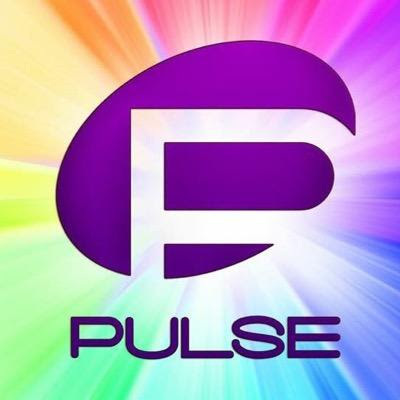 "Everyone get out of Pulse and keep running," the club posted on its Facebook page. 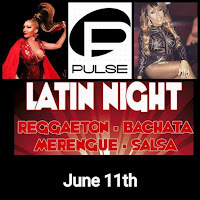 Pulse describes itself as "the hottest gay bar" in the heart of Orlando. Hours before the shooting, the club urged partygoers to attend its "Latin flavor" night Saturday. Ricardo Negron Almodovar said he was in the club when the shooting started about 2 a.m.
"People on the dance floor and bar got down on the floor and some of us who were near the bar and back exit managed to go out through the outdoor area and just ran," he posted on the club's Facebook page. Police conduct "controlled explosion" outside Orlando nightclub Pulse, scene of shootings. Reports of a someone with a gun, a long gun, holding hostages are coming in. 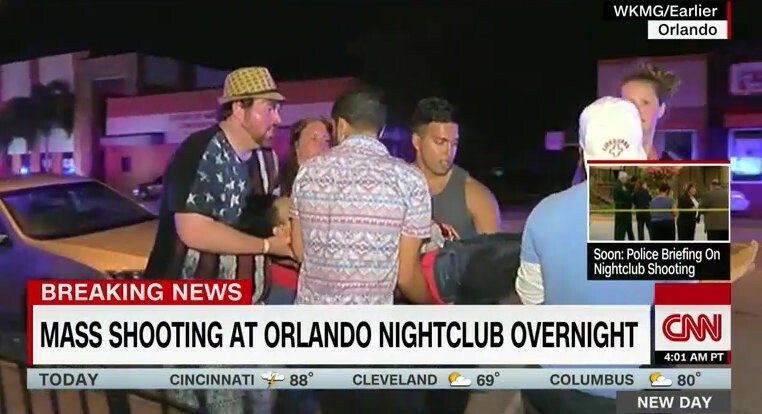 At almost 6 am, CNN says the shooter has been found dead inside the club. He had been holding several people hostage. 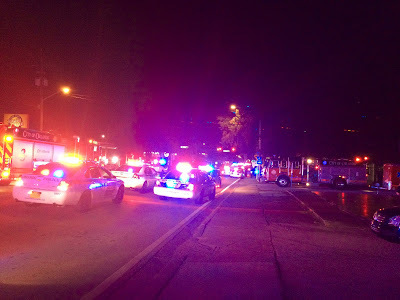 Thirty hostages were freed when the police shot the gunman dead, at 5:00 a.m.
Police are holding updates at Orange and Gore, near Pulse. 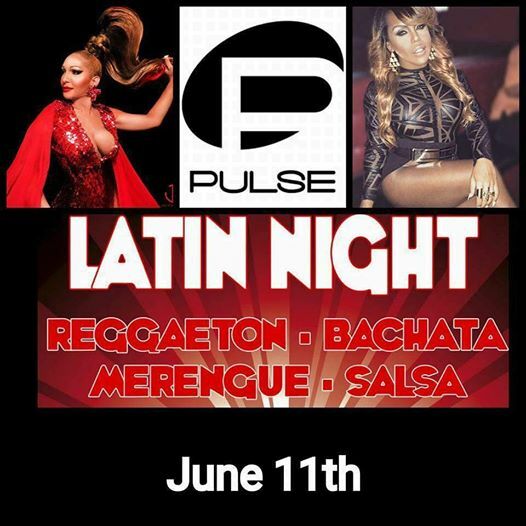 Pulse is located at 1912 S Orange Ave, Orlando, FL 32806, which is four miles from The Plaza Live, where the Christina Grimmes shooting occurred on June 10, 2016. This is the beginning of a month of gay Pride events that are celebrated with parades and parties throughout the various gay communities in the USA. The New York police raid that took place in the early morning hours of June 28, 1969, at the Stonewall Inn (a gay club), located in the Greenwich Village neighborhood of Manhattan, New York City, resulted in the “Stonewall riots” and ultimately, to the Gay Pride movement. * 1994 – Nicole Brown Simpson and Ronald Goldman are murdered outside her home in Los Angeles, California. O.J. Simpson is later acquitted of the killings, but is held liable in wrongful death civil suit. * 1963 – Civil rights leader Medgar Evers is assassinated in front of his home in Jackson, Mississippi by Ku Klux Klan member Byron De La Beckwith. * 1943 – Holocaust: Germany liquidates the Jewish Ghetto in Brzeżany, Poland (now Berezhany, Ukraine). Around 1,180 Jews are led to the city's old Jewish graveyard and shot. I keep thinking of the 70s pop group Tony Orlando and Dawn. Does this tie the city of Orlando to your Red Dawn imagery? Or does nobody but us old fogies remember them? Cory ... just three days ago, the 1973 Tony Orlando & Dawn hit "Tie a Yellow Ribbon Round the Old Oak Tree" came on the radio and really grabbed my attention, even though I had heard it many times before. This particular time I was so taken with the performance and lyrics that I did a lot of research on the group. There seems to be a sync here, as with "orange," curiously enough. 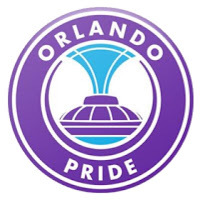 Pulse's logo is a big P in purple = Prince, similar to the neon violet alchemical symbol seen behind Christina Grimmie during her last show with Before You Exit. Not only is homosexuality regarded as forbidden by Islamists, but so is music. I wonder what the motive was for Kevin Loibl. There was apparently an almost immediate copycat-attempt by a man named James Wesley Howell, who was arrested in Santa Monica and has been accused of preparing an attack on the gay pride parade in Los Angeles. Thank you, Loren, for calling out the media with their fanning the flames of copycat violence. Thanks for the link cursichella. 2016 seems to be the year or the color VIOLET. QUEEN Elizabeth's birthday celebration, the death of music performer PRINCE, and now the killing spree at the dance club PULSE. Violet is the highest frequency of the visible light spectrum after which we have ULTRA-VIOLET. There are two films with the same title of "Ultraviolet". The first premiered in 1992 with a plot based around a kidnapping in Death Valley. The second, in 2006, is a mind tripping science fiction film, where the plot revolves around viruses, persecution, and "bloodphages" (blood-eaters). The word VIOLET is similar to VIOLENCE. To me, ULTRA-VIOLET = ULTRA-VIOLENCE, which connects to a term out of the dystopian novel "A Clockwork Orange." I'm not one for predicting, but I think were in for a bumpy ride. In light of the connection of Christina Grimmie with videogames, particularly Zelda, which will likely be revealed in more detail at E3 (Electronic Entertainment Expo) tomorrow in Los Angeles, I unfortunately cannot rule out some kind of attack there, possibly a car-ramming or even a drone-attack or the like. It could be a target because of the large mass converging there, including media. Watch out for the game between France and Albania at the Stade Vélodrome tomorrow at 21:00 local time. The site is symbolically a likely place of attack for numerous reasons, including that Albania is largely a Muslim country, and Marseille = Mars, as well as certain resonances with the attack at Pulse, and that the stadium there is also known as Orange Vélodrome. Orange = Florida, also the street that Pulse is located on, at 1912 Orange Ave.
Omar Mir Seddique Mateen = drome stadium arène QIM, where QIM is an Arabic root meaning to reckon, and is the root for Qiyama, the day of judgment. Tony Orlando and (Red) Dawn poped into my head as well. As such, it is notable that the Tony Awards ceremony was held on the same day as the Pulse attack.